I’ve been searching around lately for some DIY wall art suggestions for clients on a budget. There are so many options available, as we all know, with free printables through out the Internet, but I wanted to give a few suggestions to the crafty clients who love having a hand in the art in their kids room. Here are just a few of the fun ideas I’ve found. 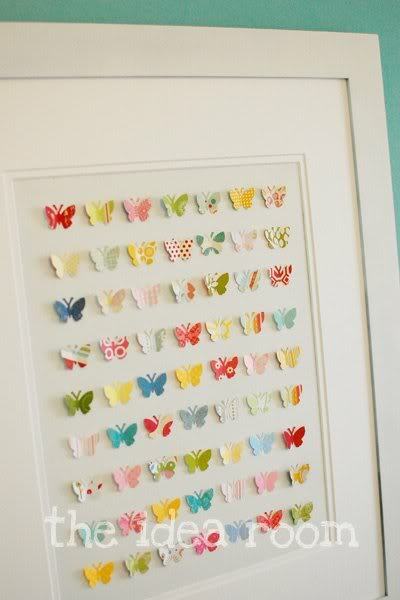 Using fun paper, a frame you already have and a butterfly whole punch. Seriously, so cute! I’m thinking of making a similar version for my daughter…I’m thinking hearts with a twist. You can find the tutorial to this adorable butterfly print over at The Idea Room. Using buttons, cardboard and a glue gun…so fun too. You can really use this piece to pull in all the colors of your room or feature a specific color. You can see the tutorial over at The Quick Journey. 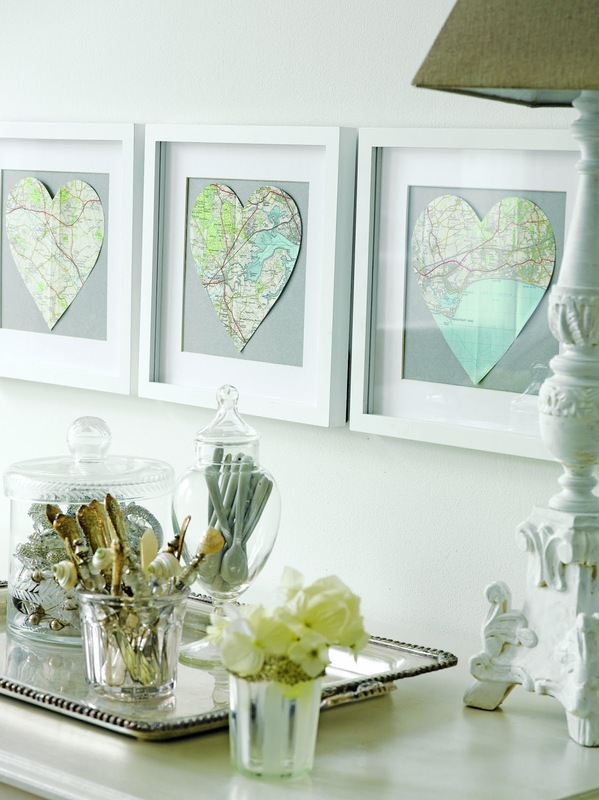 I’ve always liked this idea too…using maps to create art. You can really have fun with this one selecting the places that are special to you and yours. I found this image and tutorial over at Cinsarah. Here is another image doing a similar version, but with square frames. I just created a little DIY art myself today. You have a few options for this art piece…you can either free hand your states silhouette, search for a free state silhouette or purchase this one from Etsy. 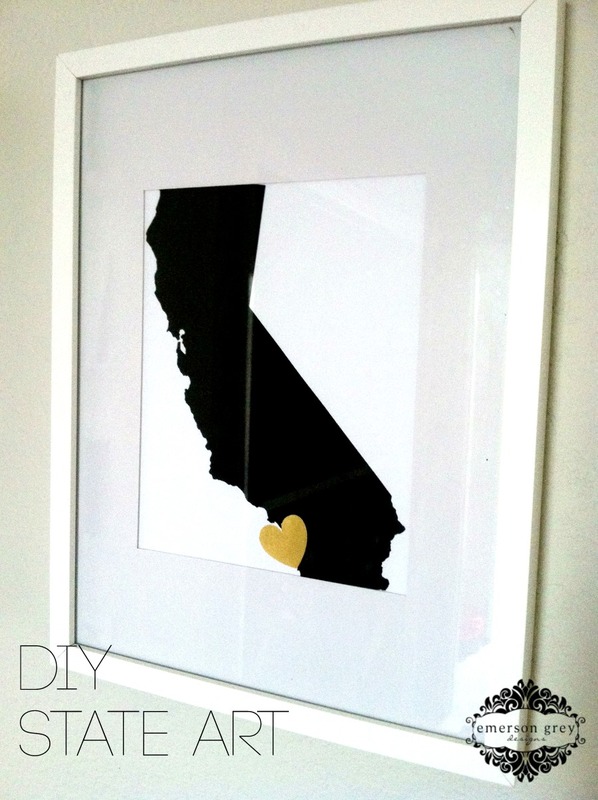 Then it is just a matter of painting or printing, adding a gold heart and putting the print in a frame. 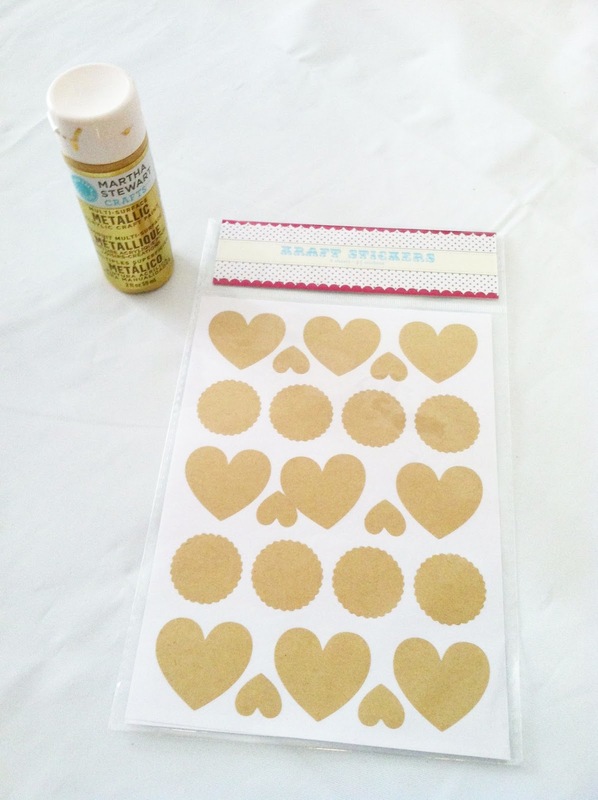 I had these craft paper heart stickers in my craft closet and some gold paint…that worked too. Super simple and so many ways to personalize it. Got to love a good DIY.